Teaser trailer #3 for upcoming SBS drama series “Switch: Change the World” starring Jang Keun-Suk, Han Ye-Ri and Jung Woong-In. Meanwhile, still images above are 3 character cuts from the drama series. The character cuts are of Jang Keun-Suk, Han Ye-Ri and Jung Woong-In. In the drama series, Jang Keun-Suk plays 2 different characters: Sa Do-Chan who is a swindler and Baek Joon-Soo who is a prosecutor. 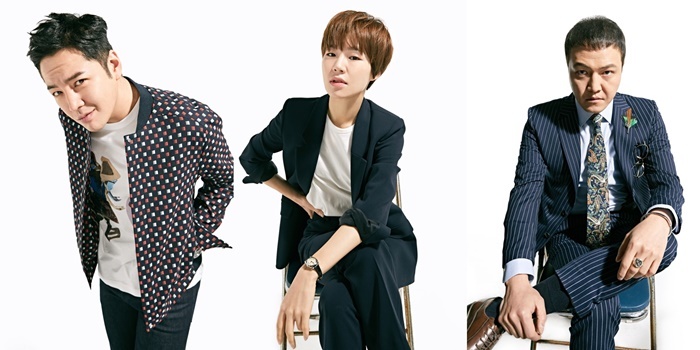 Han Ye-Ri plays an enthusiastic rookie prosecutor and Jung Woong-In plays Geum Tae-Woong. His official title is the CEO of an art gallery, but he runs a large drug distribution organization. “Switch: Change the World” first airs March 28, 2018 in South Korea.